I sing and dance a lot. I try to keep this a secret because I dance like the white women that I am. Elbows up in the air on all the wrong beats. My husband who wasn’t born white, and has moves I’ll never have, laughs at me and tries to teach me to find the rhythm of the song. It’s a long running joke between us. And one I use when Xylon’s feeling down. I know that if I enter a room singing and dancing to just one line of a song it’ll lift his mood considerably. I love that I know that about God. I love that I can have that confidence in God. God isn’t fickle like other lovers. And that is such a relief to me. Some days I really need God to write me love song. Not because I deserve it, or earned it, or because I dance well, but just because I ask for it. Some days God doesn’t write me a love song but he shows his love for me in other ways. God will send me sunlight or sparrows or rainbows just because I ask for it, just because I need it. And on days like that I know that God will remind me of his love, because he is always good, he never ceases to be loving and kind, and God’s love never quits. And knowing that, makes me want to move my uncoordinated limbs, and sing a song about how awesome God is. 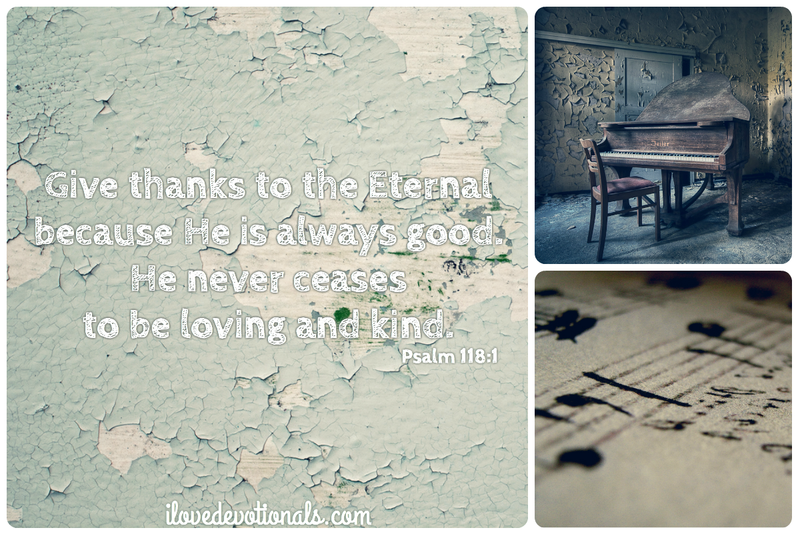 Ponder: Do you need God to write you a love song? Ask him to surprise you with a love song today. (And when he gives you one will you come share in the comments). 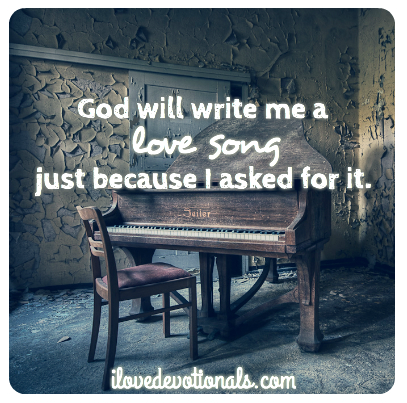 Prayer: God, could you write me a love song today simply because I asked for it.